Sue Kempf is formally announcing her candidacy for a seat on the Laguna Beach City Council. A 12-year resident of Laguna Beach, Kempf serves on the City’s Planning Commission. She has been a member of the View Preservation Committee, the Emergency Disaster Preparedness Committee, and presently represents the Planning Commission on the City’s Economic Development Task Force. Kempf’s candidacy has been the subject of much speculation and considerable encouragement among many long-time friends and supporters. Among her colleagues on Planning Commission, Kempf is known as collegial, well-informed, and well-prepared. Kempf was born in Fort Wayne, Indiana. She moved to California where she completed her education with a Bachelor’s and Master’s degree in business, and began her career in software and systems engineering management in the telecom sector, primarily in the wireless industry. 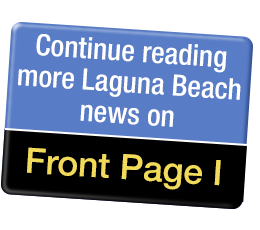 Although Kempf relocated temporarily to the Bay Area for six years at the request of her company, Vodafone Group PLC, she agreed to the transfer only on the condition of a timely return to South County and to her Laguna Beach home. As planned, she returned to South County where she served as President of Mirion Technologies Dosimetry Services for three years before retiring in 2017.